Bangladesh Cricket Board (BCB) has announced the new central contract for national players. BCB President Nazmul Hassan announced names of 17 players after a board meeting at Sher-e-Bangla National Stadium on Saturday. 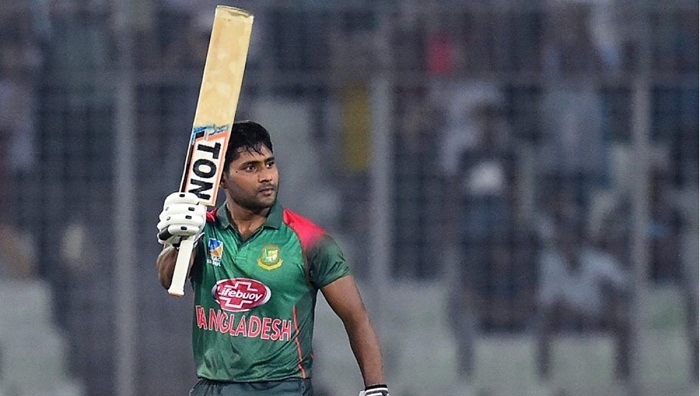 Left-handed opener Imrul Kayes, who was overlooked last year due to poor performances, has been included in the contract under grade A. He has been a topic of contention after he was axed from the national team recently. In contrast, Nazmul Hossain Shanto, the left-handed batsman, lost his place due to poor performance. Abu Hider Rony, Nayeem Islam, Mohammad Saif Uddin and Khaled Ahmed found places in the central contract under the Rookie grade. With them, the number of players under the Rookie grade reached five as Abu Jayed Rahi remained in this category from the last central contract. There were 13 players in the last central contract in 2018. But now, BCB included four more players. Players in the new central contract: (A+ Grade): Mashrafe Bin Mortaza, Shakib Al Hasan, Tamim Iqbal, Mushfiqur Rahim and Mahmudullah Riyad, (A Grade): Mustafizur Rahman, Rubel Hossain and Imrul Kayes, (B Grade): Mominul Haque, Liton Kumer Das, Mehidy Hasan Miraz and Taijul Islam, (Rookies): Abu Jayed Rahi, Abu Hider Rony, Saif Uddin, Nayeem Hasan and Khaled Ahmed.